Maple syrup is not the only Adirondack agricultural product currently thriving on the recent cold nights and warm sunny days. Although we don't grow much real corn here in the Adirondack High Peaks, Mother Nature does a pretty good job with the corn snow. Be advised: the season has arrived, the corn is in and we are harvesting! The Adirondacks have enjoyed great growing conditions for this year's crop. One of the snowiest winters in recent memory has created a deep snow pack that could last into late April. Corn snow skiing is surely the best consolation for the imminent departure of winter. The repeated daily thaws and nightly re-freezing of the snow surface changes the snow crystal shapes over time. Like skiing on velvet, true corn snow is a delight to ski or ride once it softens in the afternoon. Corn snow is spring's version of powder, only warmer. Did I mention one skis better in corn snow? Like magic for your legs, turns in corn snow seem effortless. Skiers and riders on Whiteface Moutain and the surrounding peaks have already enjoyed a few days of early spring skiing with warm sunshine andl great corn snow. With a number of '42-sunny-and-blue' days predicted in the long-term forecast, it appears the 2011corn season could be an extended one. Whiteface Mountain is surely one of the best ski resorts in the east to ski corn snow conditions. In a good year, the combination of heavy snowfall, awesome snowmaking, and cold temperatures creates a great spring skiing experience at the Olympic Mountain. 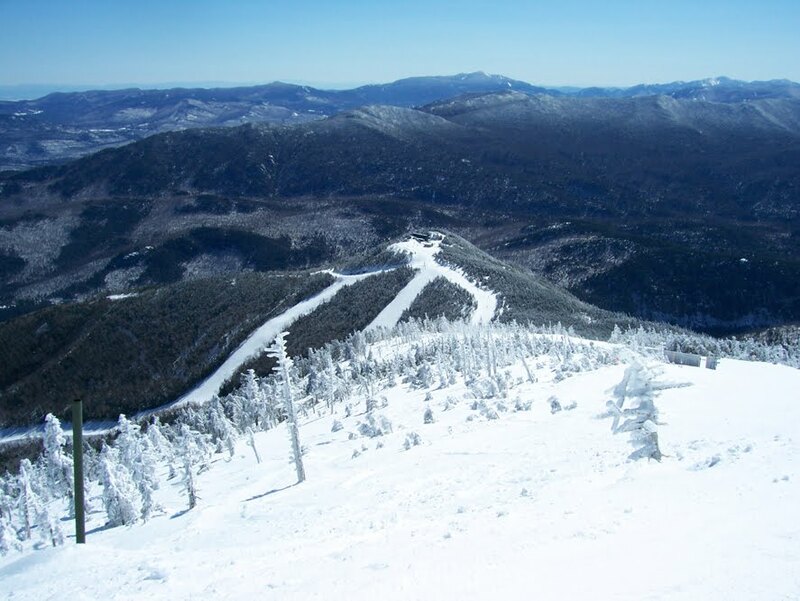 If you'd like to experience the wonders of spring skiing at Whiteface after April 10th, there is something you can do. I noticed on the Facebook page for Whiteface Mountain a survey question wondering if skiers and riders would like the officials at Whiteface to extend the season because of wonderful conditions. If fans of corn snow skiing and riding around the world go to Whiteface's Facebook page and say, "Yes, please extend your season so we don't have to waste all that nice Adirondack corn snow," maybe they will stay open longer than scheduled. Invoking the amazing revival of Tinker Bell in Peter Pan, you can help keep the corn snow skiing alive. Instead of clapping, go to Whiteface's Facebook page and let them know you believe in skiing!